O Merciful Lord, your Naam is the medicine for my problems. I am so miserable, I do not know Your greatness. You yourself take care of me. Take pity on me, O my Lord and Master, and remove the love of duality from within me. Break my bonds, and take me as Your own, so that I may never come to grief. I live all my life seeking Your sanctuary. O almighty and merciful Master. 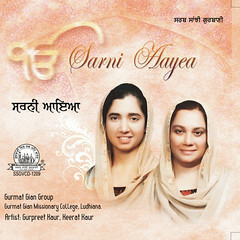 Day and night I remain in remembrance of Waheguru. Nanak has forever surrendered himself to Him. ਹੇ ਦਯਾਵਾਨ ਪ੍ਰਭੂ, ਤੇਰਾ ਨਾਮ ਸਿਮਰਨ ਹੀ ਸਾਰੇ ਕਸ਼ਟਾਂ ਦੀ ਦਵਾ ਹੈ. ਮੈਂ ਬਹੁਤ ਦੁਖੀ ਹਾਂ ਪ੍ਰਭੁ, ਤੇਰੀ ਵਡਿਆਈ ਨੂ ਸਮਝ ਨਹੀ ਪਾਯਾ, ਤੂੰ ਆਪ ਹੀ ਮੇਰੀ ਪਰਵਰਿਸ਼ ਕਰ. ਮੇਰੇ ਸਵਾਮੀ ਮੇਰੇ ਤੇ ਦਯਾ ਕਰ ਤੇ ਮੇਰੀ ਦੁਭਿਧਾ ਦਾ ਨਿਵਾਰਨ ਕਰ. 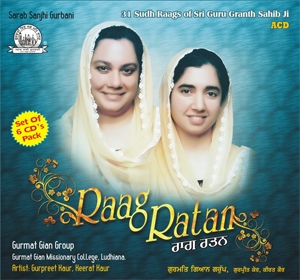 ਮੇਰੇ ਬੰਧਨਾਂ ਨੂ ਤੋਢ਼ ਦੇ ਪ੍ਰਭੁ, ਤੇ ਮੈੰਨੂ ਆਪਣਾ ਬਣਾ ਲੈ ਤੇ ਫਿਰ ਮੈਨੂ ਕਦੇ ਹਾਰ ਦਾ ਮੁਹ ਨ ਦੇਖਣਾ ਪਵੇ. ਹੇ ਸਮਰਥ ਮੇਹਰਵਾਨ ਪ੍ਰਭੁ, ਮੈਂ ਤੇਰੀ ਸ਼ਰਣ ਵਿਚ ਜੀਵਨ ਬਤੀਤ ਕਰਨਾ ਚਾਹੁੰਦਾ ਹਾਂ. ਨਾਨਕ ਕਹੰਦੇ ਹਨ, ਹੇ ਭਾਈ, ਮੈ ਉਸ ਪ੍ਰਭੁ ਤੇ ਕੁਰਬਾਨ ਜਾਂਦਾਂ ਹਾਂ ਤੇ ਹਰ ਵੇਲੇ ਉਸ ਪ੍ਰਭੁ ਦੀ ਅਰਾਧਨਾ ਵਿਚ ਰਹਣਾ ਚਾਹੁੰਦਾ ਹਾਂ. हे दयावान प्रभु, तेरा नाम सिमरन ही सभी कष्टों की दावा है. मैं बहुत दुखी हूँ प्रभु, तुझे समझ नहीं पाया, तूं आप ही मेरी परवरिश कर. हे प्रभु, मेरे स्वामी मेरे पे दया कर मेरी दुभिदा का निवारण कर. मेरे बन्धनों को तोड़ और मुझे अपना बना ले, फिर मुझे कभी हार का मुह देखना न पढ़े. हे समरथ मेहरवान प्रभु मैं तेरी शरण में जीवन बतीत करना चाहता हूँ. नानक कहते हैं, हे भाई मै उस प्रभु पे कुर्बान जाता हूँ और आठ पहर उस की आराधना में वलीन रहना चाहता हूँ. 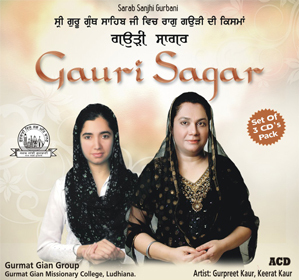 This entry was posted in Shabad Kirtan and tagged Gurbani Sangeet, Gurmat Gian Group, Gurmat Sangeet, Gurpreet Kaur, Japjit Kaur, Keerat Kaur, Keertan, Kirtan, Shabad, Shabad Kirtan. Bookmark the permalink. Nothing better than this seva. 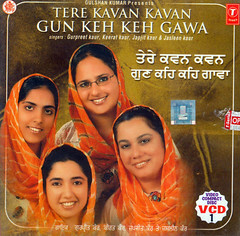 Waheguru ji Bakshish karan te seva lainde Rehn. Vaarea na java ek var. Mesmerizing & heavenly. 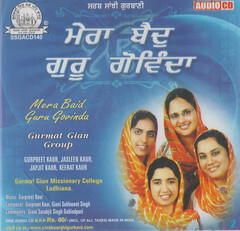 You feel transported to heaven listening to shabds of Gurmat Gian Group. God bless them all. Merian wadde karma walian bachhian de gun nahin likh sakda. 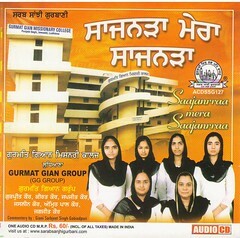 I can only pray Waheguru tuhadian jholian sda bhari rakhe. Waheguru ji ka Khalsa Waheguru ji ki Fateh.